Putting things in place is essential to getting yourself dressed in the morning. You wouldn’t stumble into the kitchen to make scrambled eggs and start frantically looking through drawers for a whisk; your closet should be no different. Ultimately, everyone has their own organizational style, but here are some tips that help me keep everything in place. Also, keep in mind that I do a quarterly reorganize and clean up! 1. Organize by color AND category. 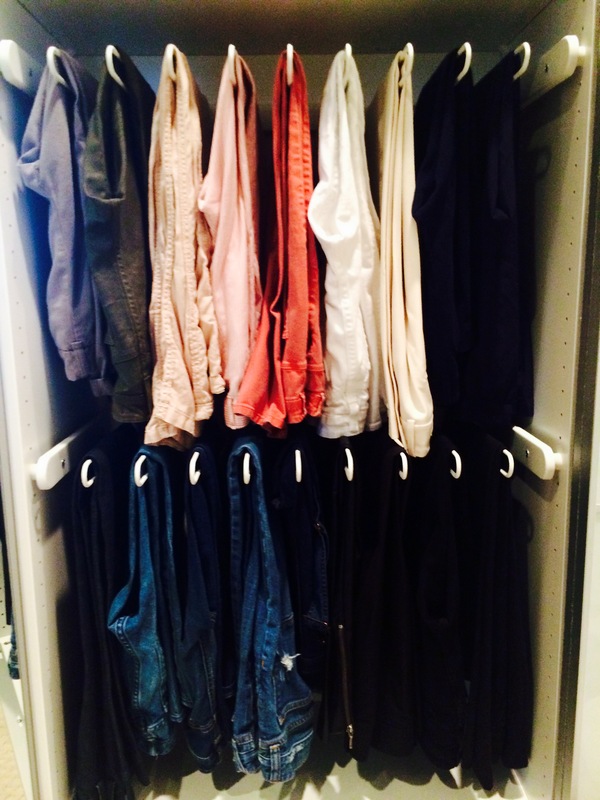 It’s a great start if you’re already organizing by color. If you’re looking for a black top and go to that color block it’s better than rummaging through countless hangers. To make this organization more efficient, organize by category within color. For example keep black shirts together, pants, sweaters etcetera. It will cut down on search time. You’ll be surprised how much time you actually spend hunting when you have to hunt no longer. 2. Keep your accessories organized. Whether it’s on a hanger (they have great accessory hangers at Home Goods), laid out on a vanity or in a jewelry box, keeping your accessories organized visually is imperative. Accessories can completely change the look of an outfit and with them accessible you’ll find yourself realizing that you don’t need to pick up that impulse necklace because you have your own great, diverse collection at home waiting to be played with! 3. Remove seasonal items. Of course, we all have white button down shirts that are used year round. I doubt, however, that wool sweaters will be whipped out in the dead of summer. For maintaining your clothing quality as well as de-cluttering, store your super seasonal items. Clean them properly before storing them, and make sure you label the container (I like to use sticker labels that can be removed and replaced) to make it easier to locate your items when winter rolls around again! 4. No shoes left in shoe boxes. Let’s be honest. Fashion is completely visual. If you can’t remember what the Franco Sarto heels look like, what’s the likelihood that you will get excited about wearing them or jump to them when in need? If you are super particular and like to keep them in a shoe box there are two options: take a Polaroid of the shoe and tape it to the box OR purchase clear shoe boxes (you can get these at the dollar tree for one dollar a piece which is way cheaper than Polaroid film!). If it’s a situation that you’ve spent a lot of money and want to keep the Tory Burch shoe box as a trophy, Pinterest has some super cute ideas for framing bags, shoe box tops, etc. so it becomes art, not clutter. I’ve linked to my Pinterest here. 5. Archive. Ever quarter, when I change over my seasonal clothing, I have the six month rule. If I haven’t worn something in six months or less it goes in a pile. At the end of my change over I decide if it’s in good enough condition to archive. These items to in a separate container and are labeled archive. 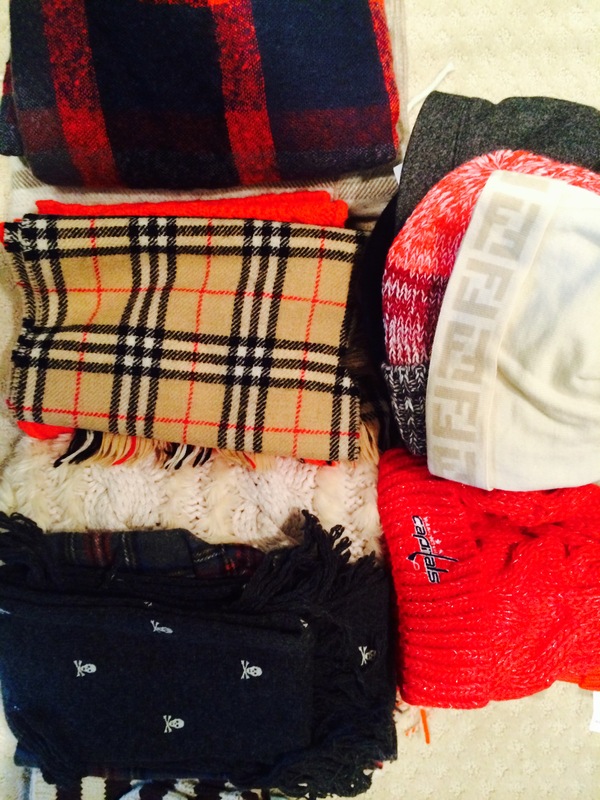 When the fall/winter season comes around, I go through these items again and see if any of them are relevant to new season trends. If not, they stay in the archive container. I realize that a lot of these tips seem space contingent, but I really want you to think about it. I lived in plenty a college apartment and used the floor of the closet to display my shoes and the top shelf to organize purses by color. The inside of closet doors can easily have 3M command strips attached to organize jewelry and last I checked, Target and Ikea are full of slim storage bins that can fit under your bed. Remember that the thirty dollars invested in organizational items may result in hundreds of dollars saved on buying items that you already have a perfectly good alternative to. If you’re totally stumped, email me and I’m happy to help troubleshoot with some different organizational alternatives that work for you!